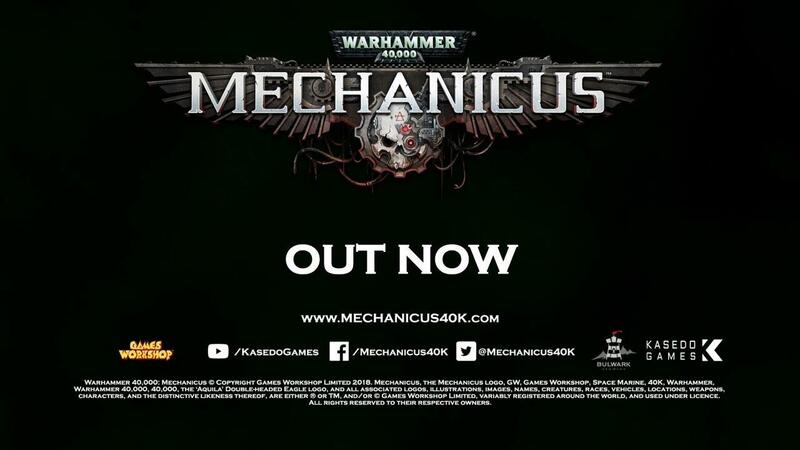 A developer from Bulwark Studios has detailed their plans to get Warhammer 40,000: Mechanicus onto Linux and it sounds good. After releasing for Windows in November, they've pushed out a few patches to improve various aspects of the game. It seems like they've done well with it, since it's sat at a "Very Positive" user rating with over one thousand users giving their thoughts. For the Linux release, they're going to put up an opt-in beta version "before the Christmas holiday" with an aim to release in full once the holiday period is over. See their post here on Steam for more info. Additionally, they've setup a post on Steam you can subscribe to so you're notified when the beta is live. I think this is fantastic. I wish more developers would dip their toes into Linux like this. Don't aim for perfection right away, get a beta setup and go from there. I quite fancy this, looking forward to seeing it land on Linux. Next Steam sales start two days from now, isn't it? Hope the game gets a discount. How does this game relate or compare to Gladius? Glad to see good games about the Warhammer 40k universe. The license being pretty liberal has led to some shovelware in the past.